Approximate Width : 14 cm Height : 21 cm. Price is inclusive insert, envelope & over printing. 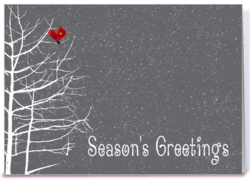 In order to cater to the variegated demands of our esteemed clients, we are highly engrossed in manufacturing a wide range of Seasons Greeting Card. - Used as gift for all kinds of occasions such as thank you day, birthday, graduation day, wedding day, etc. Item Code DC 5001 Price Rs 15/- Min Qty 1000 Pcs Printing 4 Color Printing on Front Size 7x5 Inches Branding One color screen printing inside the card. Sabari Agency is the one-stop source for birthday cards, diwali cards, christmas cards, new year cards, valentine day cards, good luck cards, best wishes cards, wedding greeting cards, anniversary greeting cards etc. We also provide musical greeting card as per customer requirement. Green color seasonal greeting card and envelope made with natural handmade paper containing beautiful traditional design along with screen printed "Seasonal Greetings" sentiment on the card.Inside kept a blank space to write your message to your dear one.A beautiful envelope is provided with this card. ICG develop variety of visiting & seasonal cards to its clients after recycling the waste paper. They have been used for sending seasonal greeting cards to its clients and associates. We offer Seasonal Greeting Cards.